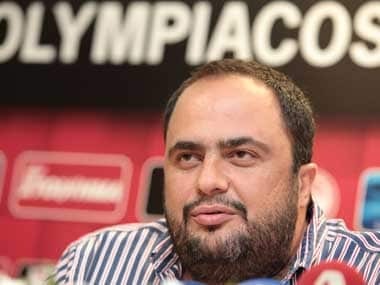 Shipping magnate Vangelis Marinakis, the owner of Olympiakos, will face trial accused of corruption in Greek football, the Athens Court of Appeals decided Friday. Marinakis, former Greek football federation president Giorgos Sarris, and an ex-legal advisor have been accused of forming a criminal organisation and manipulating results of matches. A total of 28 people are facing charges including former federation members, ex-referees, the owners of Super League clubs Levadiakos and Atromitos, as well as former coaches and players. "The same mud, without evidence, without justice, from a vicious state and a government of extortionists who have lost their minds. We are bored. Make as many trials as you want," Olympiakos media director Konstantinos Karapapas wrote on Facebook in response to the decision. "Let's finish with this fabrication as soon as possible and we will see who will be the losers at the end," he added.